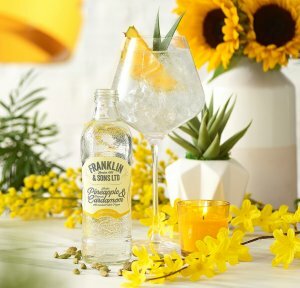 Franklin & Sons, the premium soft drink, tonic and mixer brand, has unveiled its latest innovation to tap into the growing non-alcohol trend. 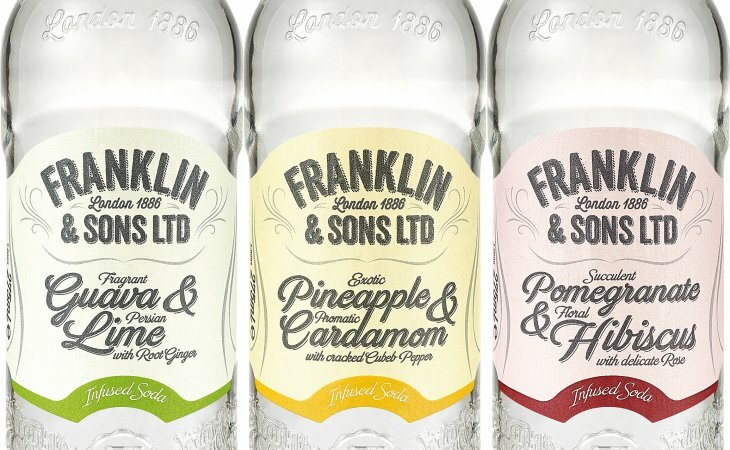 Taking inspiration from distillers and their focus on beautiful flavour infusions and expressions, Franklin & Sons has created a range of premium non-alcoholic Infused Sodas each combining three flavours. Coming in three unique flavours; Fragrant Guava & Persian Lime with Root Ginger, Exotic Pineapple & Aromatic Cardamom with Cracked Cubeb Pepper, and Succulent Pomegranate & Floral Hibiscus with Delicate Rose, the sodas are an extension to the brand’s core soft drinks selection, offering the same complex taste and flavour profiles of a cocktail serve – but without the alcohol content. Each infused soda flavour falls below sugar tax with just 4.2g sugar per 100ml, and contains just 49 calories per 275ml bottle. Designed to be served chilled over ice in a tall wine glass, and garnished with fresh fruit, the premium sodas provide the flavour experience and sophistication of a cocktail serve, but for non-alcohol occasions. Jen Draper, Marketing Director at Franklin & Sons, said, “We know that mindful drinking has become increasingly popular over the last year, but there are still very few options for those who want the premium, alcohol-free experience either in bar or at home. Why should non-drinkers miss out on a beautifully garnished, complex drink with exciting and interesting flavours? The new Infused Soda launch comes of the back of huge piece of research by Franklin & Sons into the drinking habits of consumers, showing that younger generations are willing to pay more on drinks overall, and almost half of under 35s surveyed say they are likely to order a non-alcoholic drink on a night out. The Franklin & Sons’ study also found that the perfect drink should also be delivered through excellent service, with the drinking experience at the venue just as important as the drink itself. This perfect drink should also attract an average of 74 ‘likes’ once posted on Instagram.